Young girls love Lisa Frank merchandise for its bright colors and animated characters. Older girls question each other about drug use if they see a Lisa Frank folder decked out in trippy swirls, smiling animals and sparkles. But one thing’s certain; Lisa Frank products are unique and fun. Do pictures of abnormally cheery animals and florescent pens not ring any bells? Sounds like you know what to add to your Christmas/Hannukah/Kwanza/Divali list this year: Lisa Frank supplies. 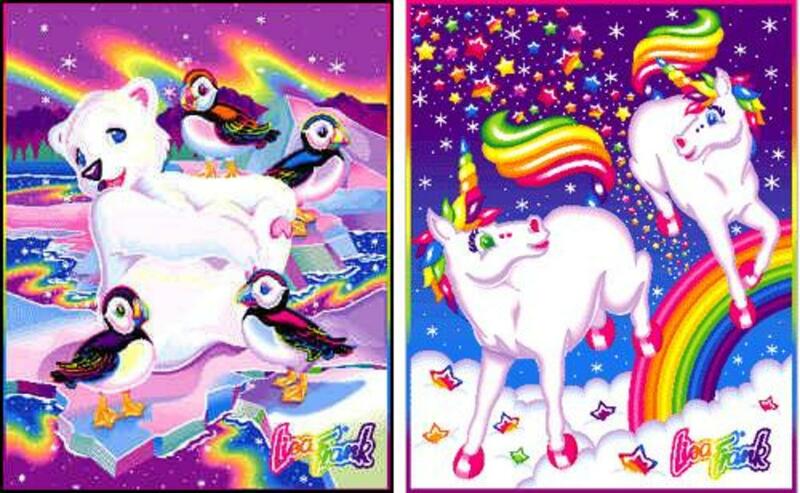 If you’re unfamiliar with Lisa Frank, shame on you for missing a fad of the late nineties and early 2000s. American pop artist Lisa Frank’s products range from glow-in-the-dark gel pens to stickers and clothes. Although Frank’s designs are geared towards younger girls, who says that high school-age girls can’t use neon-colored folders, complete with cartoon unicorns? One pop-art blog reveals that Lisa Frank once designed clothes for adults in her Balenciaga Spring Collection in 2003. Inspired by her notorious sea-animal designs, Frank created a tight-fitting, navy blue kimono-look-a-like with sea animals and seaweed designs. Still think that Lisa Frank items are for your five-year old neighbor? Did you know that Lisa Frank designs all Ed Hardy office supplies? Gucci’s Summer 2009 collection is even reminiscent of Frank’s earlier creations. T-shirt emblazoned with pink flamingos and beach bags with vibrant purple flowers imitate Frank’s recognizable caricatures. Lisa Frank merchandise is available at most art and school supply stores, or click here.